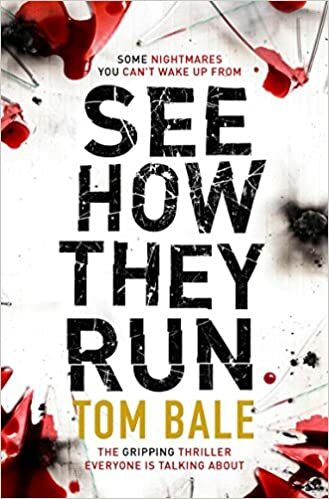 I truly believe that Bookouture are becoming one of the best Publishers of the Crime/Thrillers genre, they have some amazing talent and Tom Bale is without doubt one of the best. Reading this book was like getting on a treadmill turning it on and finding that it is on full speed, you can’t stop it and when the timer stops it, you collapse in a heap exhausted. Right from the first chapter you are taken into a world full of suspense, tension and fast paced action. Through every chapter my heart beat raised, I held my breath and felt the pain, hope and disappointment and that both Alice and Harry French were going through. I have never felt as involved in a book as this one. You don’t get to know who Harrys’ favourite Spice girl is or any other superfluous background to the characters; it’s just a massive joy ride of an adventure. Although I did receive this book for an honest review, I would buy it in Paperback and keep it to read over and over again. Don’t make the mistake of starting this in bed, I did and ended up checking the doors were locked at 2am and hiding a hammer under my pillow.